How to Use OpenShift PaaS as Facebook App ! The Customize Windows > Computer and Internet > Cloud Computing > How to Use OpenShift PaaS as Facebook App ! How to Use OpenShift PaaS as Facebook App ! Getting Dizzy ? We Have Found the Free Way for Hosting Facebook App too with RedHat OpenShift ! Since its a Fully Great Sunday (rare for me), I was finding something new for our readers. And after understanding that Google Cloud’s Virtual Machines are unusable by a newbie (badly costly too) I again shifted to PaaS – our favorite free PaaS. And among Free PaaS, OpenShift really rocks as practically we do not have to tweak it for doing normal WordPress like software installation, unlike Heroku’s painful way to add extra Apache modules via make command. If you are thoughtful about SSL (I was too), first uncannily (good for us!) OpenShift also mirrors https to http. If you build a Jenkins Server, it becomes fully golden yellow. However there is absolutely no need to use Jenkins Server for using Drupal, WordPress etc. Here is How to Use OpenShift PaaS as Facebook App by Even a New User. 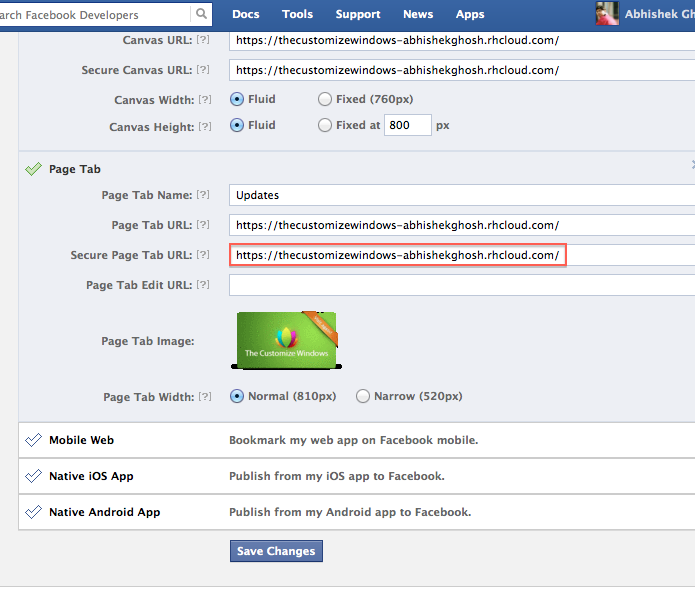 First, think about the ‘normally used’ Heroku Cloud way – WordPress Heroku Blog as Facebook App. Also Creating a Facebook App of Your Own has been linked there. If you want, you can create custom tab as well by following our guide – Creating Custom Facebook Tab For Your Facebook Fan Page. But we said – How to Use OpenShift PaaS as Facebook App. That simply means, you have to use OpenShift, for example you can install WordPress and use it as Facebook App, this guide is enough for anyone even if you have never used WordPress – Installing WordPress on Free OpenShift PaaS. There is a long video guide featured by YouTube officially. It will show you the basic usage of WordPress too. Which were difficult with Heroku like we wrote in our Advanced Commands for Perfect Setup guide is no longer needed as OpenShift by default has the needed components to get updated and install plugins. Which was not known was that SSL redirection part. This Article Has Been Shared 948 Times! Articles Related to How to Use OpenShift PaaS as Facebook App ! Title: How to Use OpenShift PaaS as Facebook App ! Cite this article as: Abhishek Ghosh, "How to Use OpenShift PaaS as Facebook App !," in The Customize Windows, May 5, 2013, April 18, 2019, https://thecustomizewindows.com/2013/05/how-to-use-openshift-paas-as-facebook-app/.